Latest Version of Remote Desktop Manager Enhances Ease-of-Use, Credentials Management, Password Management and More. The Update is a Major Milestone in the Product’s Evolution and Adds Significant New Team-Oriented Features. Devolutions (devolutions.net), a Canadian-based enterprise software development firm with more than 150,000 users in over 70 countries, announced today that it has launched a major update to its flagship product Remote Desktop Manager. New UI improvements, including improved text entry, more filter options, additional shortcuts, French translation, custom group icon, sort priority option, and more. 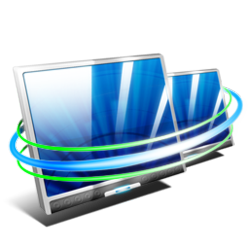 A 30 day trial of Remote Desktop Manager (7.0) is available here. Users who wish to continue using the software after the trial period can choose to download the free Standard edition, or upgrade to the fee-based Enterprise edition. For more information or media inquiries, contact Mélissa Gagnon at (450) 935-0608 or news(at)devolutions(dot)net.